Fragrance has become a must-have line for luxury designer brands. And since everyone’s getting into it, finding something that’s truly interesting isn’t an easy task…. 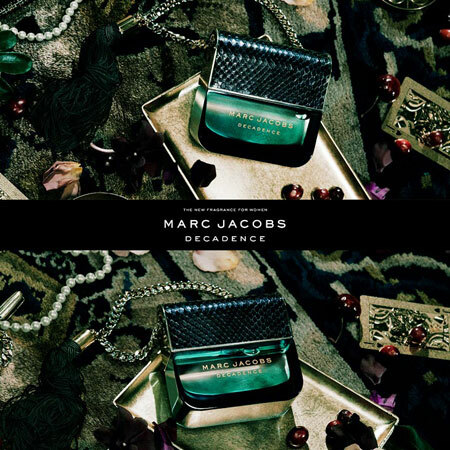 not until this perfume by Marc Jacobs. The scent reminded us of walking into a luxurious boutique store. It’s not an everyday good-smell scent, but close to the sensual yet distinctive side. Developed by Annie Buzantian in collaboration with Marc Jacobs. It has top notes of Italian plum, saffron, and iris… blended with luxurious notes of Bulgarian rose, jasmine samba, and orris and ending with a base of vetiver, papyrus woods, and liquid amber. And who doesn’t want to have a bottle this clever and unique? It has his iconic handbag shape decorated with a luxe gold chain and black silk tassel. The color contrasts with the black cap with gold trim. Spring Fling – Pretty Perfume Alert!